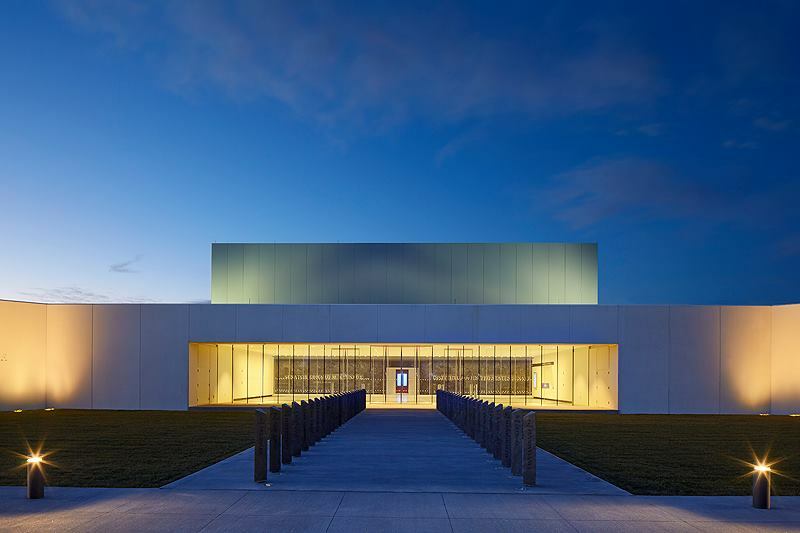 doyle + associates is pleased to announce that the Edward M. Kennedy Institute for the United States Senate opened to the public on March 31, 2015. doyle + associates served as the Retail Consultants for the $78 million interactive, state-of-the art museum. The building was designed by Rafael Vinoly Architects of New York, NY and constructed by Lee Kennedy Company, Inc. of Quincy, MA. The 65,350 square foot facility is located on the University of Massachusetts Boston campus next to the John F. Kennedy Library. The Institute houses a large lobby reception space, a full-scale replica of the U.S. Senate Chamber, several galleries, exhibit spaces, office spaces, and classrooms, a library and archives facilities, as well as a gift shop and café. The Edward M. Kennedy Institute is devoted to civic education and Senator Kennedy’s belief in the positive power of public service. President Obama, First Lady Michelle Obama, and Vice President Biden attended the dedication event in Boston Monday.